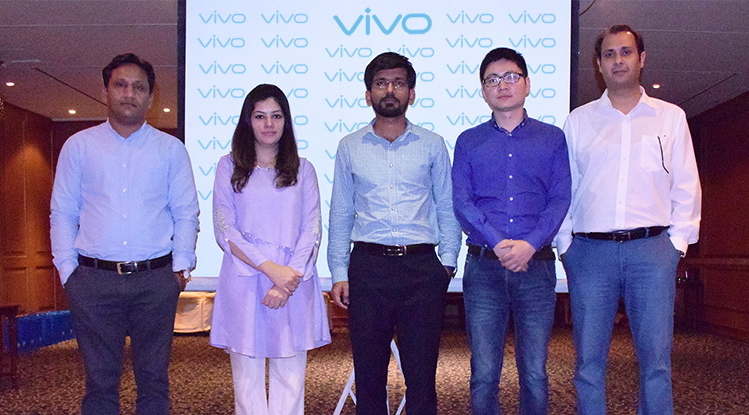 Vivo, one of the leading smartphone brands in the world organized a media meet-up in Lahore, yesterday. The purpose of this media meet-up was to provide information and to raise public awareness about Vivo and enhance relationship with key opinion leaders in media & blogging community. Vivo’s brand team met with prominent bloggers & media representatives and talked about Vivo’s operations, future plans, strategies and policies to promote the brand in Pakistan. After the successful launch of V5s, Y69, Y55s & Y53 in Pakistan, Vivo has plans to unfold another exciting product in the country, however the launch dates are yet to be announced by the company. It has an extraordinary octa-core processor, along with a massive 4GB of RAM and 64GB’s of internal storage. Y69 boasts a chic design that speaks of elegance and urbanity. The 2.5D glass front of Y69 combines with back through seamless curves. No matter how you hold it, the curved edges and the sleek lines always feel wonderful in your hands. The phone features a 5.5-inch display with 720p HD resolution and there’s a dedicated home key at the bottom of screen that doubles as the fingerprint scanner, with industry’s fastest Fingerprint Unlocking Access in Just 0.2 Seconds. space. The Y69 borrows the camera expertise from the V-series and embeds a 16-Megapixel front camera with Selfie Softlight along with the 13-Megapixel rear camera featuring PDAF (Phase Detection Auto Focus) and dedicated flashlight. Both cameras are equipped to capture every vivid detail in your life with outstanding clarity. The 16-Megapixel front camera can fit many people in a Group Selfie with ease by using the panoramic landscape panel and it does offer the Bokeh Mode for artistic blurred background.